For freezing the account of Benue state government, the EFCC and two other banks have been ordered to pay the state N100 million. A Federal High Court in Makurdi, Benue State, has ordered the Economic and Financial Crimes Commission (EFCC), United Bank of Africa(UBA) and Fidelity Bank to jointly pay the sum of N100 million to the state government for freezing its accounts last year. Delivering judgement in the suit number FHC/MKD/CS/46/2018 filed by the state government challenging the legality of the EFCC freezing its accounts, Justice Mobolaji Olajuwon ordered the anti-graft commission to pay the state government the sum of N50 million as damages, while UBA and Fidelity are to pay the sum of N25 million each. Justice Olajuwon stated that the state government accounts that were frozen do not fall within the classes or categories of accounts liable to be frozen by the EFCC. She declared the action of the EFCC as illegal, null and void, saying the order issued by EFCC to the affected banks to freeze the state accounts was not obtained from a Federal High Court. The Judge thereafter granted an order of perpetual injunction restraining EFCC from further freezing the state government accounts domiciled in financial institutions. 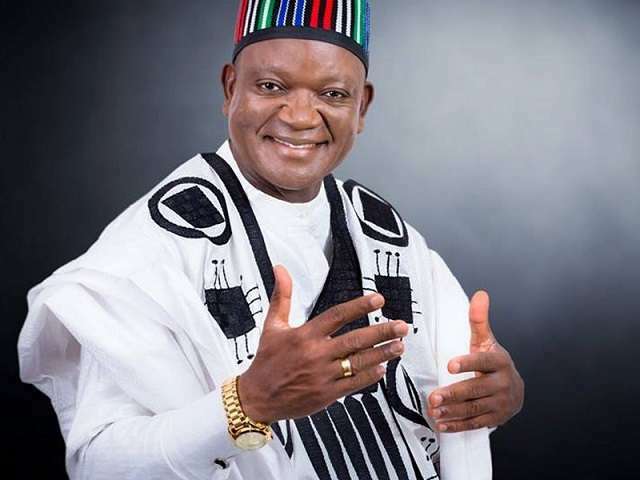 In a reaction, the Benue State Attorney General and Commissioner for Justice, Michael Gusa, described the judgement as sound, adding that the Governor Samuel Ortom administration believes in the rule of law and due process, and would not fail to challenge any act of illegality on the state. He recalled that a few days after Ortom defected from the All Progressives Congress (APC) to the Peoples Democratic Party (PDP), EFCC ordered the freezing of the accounts of the state government in UBA and Fidelity Bank on the premise that the governor’s security vote was being investigated. The government of the state, through the office of Attorney General and Commissioner for Justice, approached the court seeking a declaration that EFCC acted against the law when it directed the banks to freeze its accounts.